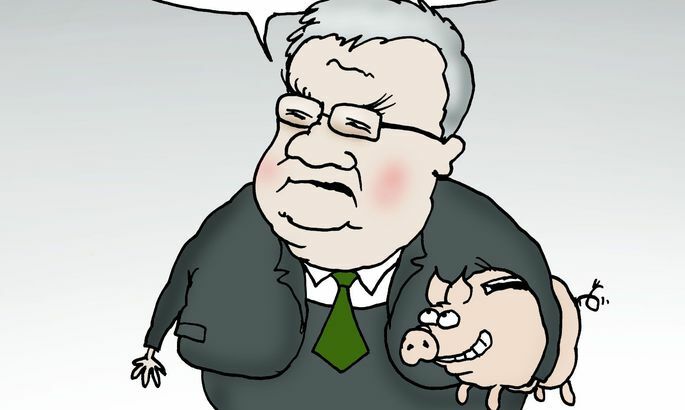 Editorial: Mr Savisaar, let that garden be! If Tallinn city government has its way, the Culture Kettle Garden and contemporary arts courtyard thus far operating next to Linnahall at the sea shore will be history – making way for business land to house some 13,000 square metre commercial building. The detail plan amendments for this were entered at the last instant. Nothing much remains of the former plan to consider the area’s current functions. As the reader may imagine, culture crowd in town got rather furious. In their public address on Monday, creative communities and cultural institutions spoke their mind as to why the move is bad – as for the culture life, so for city planning. The discussion at city government, yesterday, was nothing but cold formalities. While deciding to keep on talking, little hope remains they will let the new plan go. Why the turn, the future may tell. Going by prior experience, one smells the private interests. Though hopeless seems the fight, let’s still list some additional arguments for the garden to survive. One would be the culture creation mechanisms – the reason it’s damaging for any town to close its bookstores, cinemas or galleries even if these made no profits or had to be artificially kept alive. While we now hear culture coated in all kinds of economic terms such as «culture consumption» and «creative economy», at birth most things cultural had next to nothing to do with economy. In other words, they came about not to satisfy some consumer needs or offer effective production. On the contrary: up to culture to sometimes say what people do not like at all. Becoming a product will be an option much later, after birth. To come to birth, meanwhile, the phenomena need public space not in the shape of a shopping centre or business building. It takes spots to gather, to think, to talk. The other reason is more important still, perhaps, and better grasped by such as always think «effectiveness». Culture Kettle Garden has been an effective spot not for culture created only, but as a coolant to worldview-related, national, and social tensions: a place where the ultranationalist author gets to chat with an «immigrant son» of a musician, where blind people do theatre and cultural prejudices get dissected. If that ain’t effective for a city, what is? At yesterday’s discussion in city govt, architect Toomas Paaver said it’s not always money that is needed for stuff to happen. But it does take a place. Who could but agree?